Cotswolds Distillery is raising £2,000,000 investment on Crowdcube. Capital At Risk. The Cotswolds Distillery is one of the most highly rated artisanal distillers of gin and whisky in the world. Sold in Harrods, Majestic Wine, local Waitrose and other top UK outlets, and in 28 countries, average sales growth has exceeded 100% pa. Now funding to build brand awareness and long term growth. World Gin Awards "Best London Dry Gin", IWSC Gin "Gold Outstanding"
Information In conjunction with the crowdfunding process, the company is directly approaching their existing 100+ investors and several high net worth individuals. These investments are being reflected on the Crowdcube platform as they come in as one aggregate sum. At the time the campaign was launched publicly on Crowdcube, the pre-committed investments totalled £1,185,120 from 21 investors, with the largest single investment being £100,000. 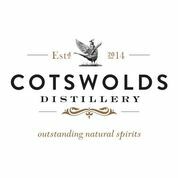 We founded Cotswolds Distillery in 2013 with the aim of building an appealing 'destination distillery' in one of Britain's most beautiful regions, within reach of the country's largest population centres, producing spirits of the utmost quality, character and authenticity. With capital from our founder, local investors and a previous crowdfunding round we have built solid foundations for our business: a highly capable distillery, award-winning spirits, including our Cotswolds Dry Gin and Single Malt Whisky, and a stream of thousands of enthusiastic visitors. We now have the capacity to produce 1 million bottles a year to meet future demand, and are recognised as one of the most highly rated craft distilleries in the world. We continue to experience strong growth; our sales increased 75% to £3.1 million for calendar year 2017. By comparison, the UK gin market grew 27% over the same period. Now we want to make sure our products and brand are reaching the largest possible consumer audience in a busy market, both here and abroad. To thank investors for their support, all investors will receive a lifetime 10% discount on our online shop. To see the rest of the Cotswolds Distillery pitch, join now. Join to read more information about the Cotswolds Distillery team, documents, and what other investors are saying about the pitch.